As the seasons change, it can be hard to motivate yourself to stay active. But physical activity is important to our health and wellbeing even when the weather is bad. Being active has many health benefits, and it even helps improve your mood and helps you sleep better! Turn on music and have a dance party! Take your walk inside. Add a few laps around the store or mall before shopping, or try a walking video. 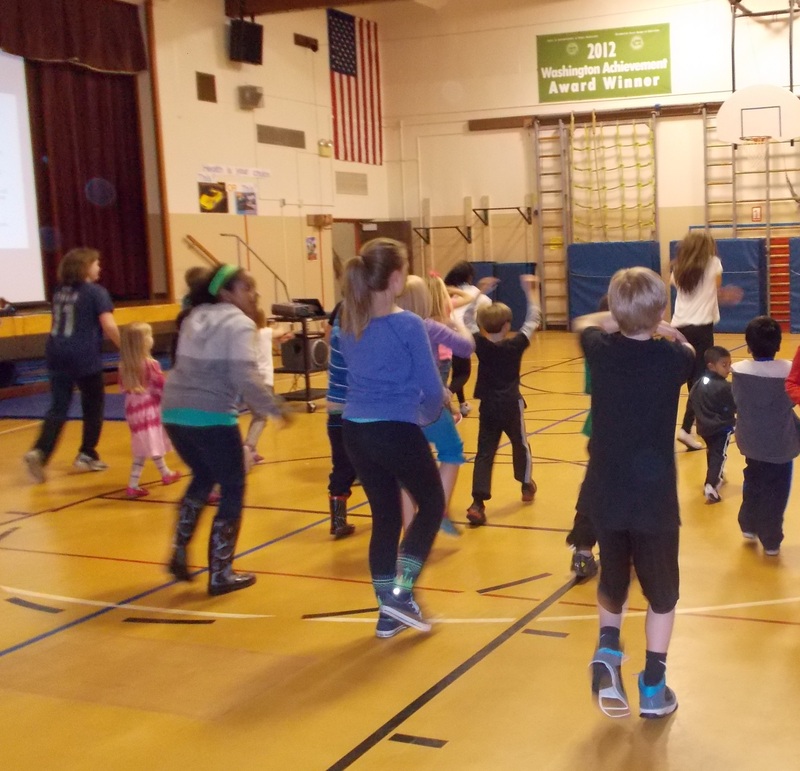 Walk at Home with Leslie Sansone is a favorite of participants in our Eating Smart, Being Active classes for adults! Turn house work into a workout. Listen to music to keep yourself moving. If you enjoy exercise videos, check out the selection of exercise videos at your local library. They will likely have enough variety to keep you from getting bored! Use canned goods as hand weights for a bit of strength training while your dinner cooks or during commercial breaks while watching TV. If you live with children, play active games like Duck, Duck, Goose, Simon Says, Musical Chairs, or Follow the Leader. 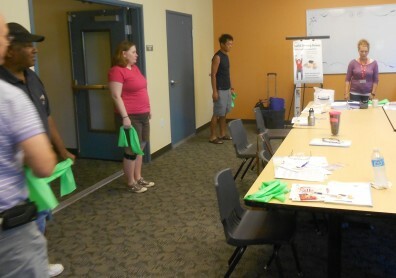 Participants in an Eating Smart, Being Active class prepare to flex their muscles. Dress in layers for cold-weather activity. This allows you to be comfortable when you first leave the house and once you’ve warmed up a bit. In fall and winter, less daylight means less visibility. Dress in bright colors, wear reflectors, or carry a flashlight so that you can be easily seen by drivers. Gear up for some fun seasonal activity walks with your family, such as leaf or puddle jumping! Walking is also a great way to see fall colors and houses decorated for Halloween or other holidays.